Hungry Holidays from that famished old lady! Listen to what happens as she swallows a host of Christmas items with hilarious results. 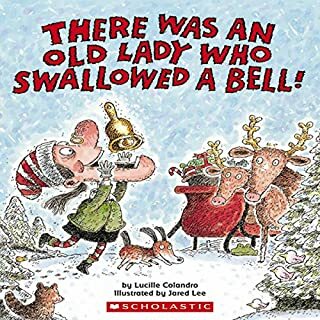 The rhyming text and funny illustrations are sure to appeal to young readers. 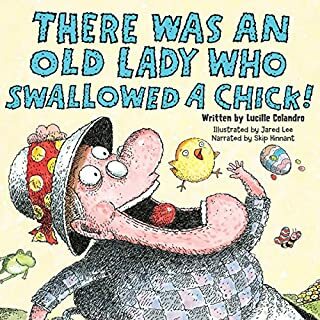 The hungry old lady gobbles a basket, a bow, some candy and other "egg-cellent" Easter items in this silly read along! it's so silly 😂 and cute I just love these! 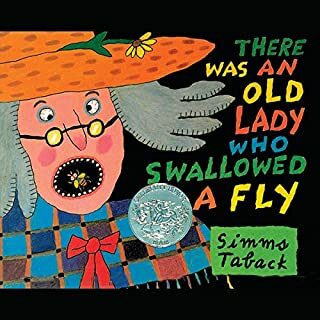 Here's a new twist on the familiar tale of "There Was an Old Lady Who Swallowed a Fly". 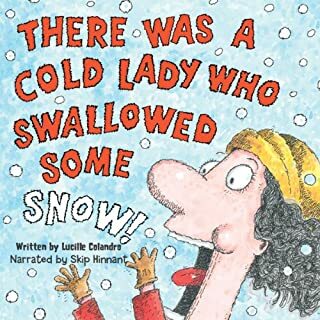 This cold lady is swallowing everything from snow, to a pipe, some coal, and more! With rollicking, rhyming text and a hilarious ending, this lively version will appeal to young listeners everywhere. 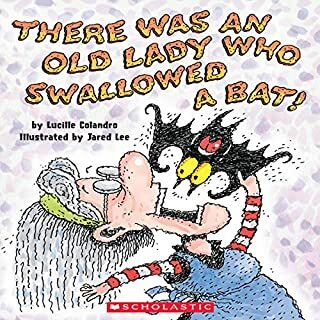 The famished old lady swallows a bat, a ghost, an owl, a goblin, and other Halloween treats in this silly, Halloween take on the classic story. 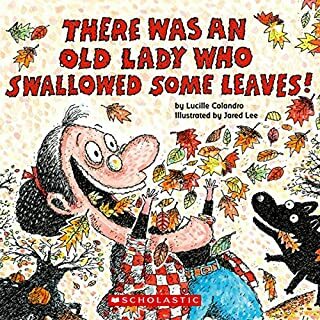 That wild old lady is back swallowing fall-themed items. What can you make from leaves, clothes, a pumpkin, and rope? That's right, a scarecrow! An old favorite as you've never heard it before! Simms Tabak gives us a rollicking, ear-popping version of the well-loved poem. Pink, pink, pink. More than anything, Pinkaclious loves pink. Enjoy this audio collection filled with stories about your favorite pink-loving character, Pinkalicious. This audio collection includes Pinkalicious, Purplicious, Goldilicious, and Silverlicious, along with the Princess of Pink Treasury: Pinkalicious: School Rules, Pinkalicious and the Pink Drink, Pinkalicious: Pink Around the Rink, Pinkalicious: Tickled Pink, and Pinkalicious: Pinkie Promise. David Ezra Stein is an accomplished author of children’s books and has been honored with the Ezra Jack Keats New Writer Award. In Interrupting Chicken, Papa warns little red chicken not to interrupt as he sets about reading their nightly bedtime stories - but the eager chicken just can’t help warning the fairy-tale characters about the dangers they face. Frustrated to no end, Papa finally gives the little chicken the chance to tell a tale. Now will Papa be able to stop himself from interrupting? Nine complete Dr. Seuss stories at a great price, featuring performances by Jason Alexander, Michael McKean, and David Hyde Pierce. The mischievous cat returns on a snowy day when there is work to be done. After a daring escape from the oven, the Gingerbread Man is chased by a little boy, an old man and woman, a group of farmers, a bear, and a wolf - and he outruns them all! But will the clever fox outsmart the quick cookie? Long before saving the earth became a global concern, Dr. Seuss, speaking through his character the Lorax, warned against mindless progress and the danger it posed to the earth's natural beauty. 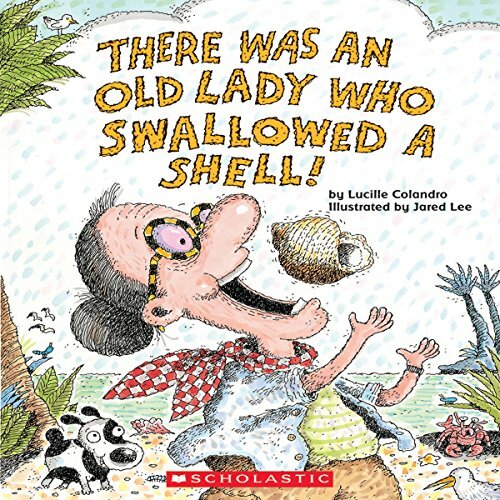 You won't believe why this old lady swallows a shell, a crab, a fish, a gull, a pail, some sand, and a wave! But watch out when she burps, with hilarious results! With rollicking, rhyming text, this lively version of a classic song will appeal to young readers. And there's a surprise ending! ©2006 Lucille Santarelli (P)2008 Scholastic Inc.